Plumbing horror stories are legendary. The things pulled out of pipes and clogged toilets (everything from dead wildlife to dentures) are enough to fill some of us with dread. Accidents happen. Things get flushed or fall down the drain. Pipes burst in sub-zero temperatures, appliances and toilets leak. All of these plumbing emergencies, if not nipped in the bud, can lead to a plumbing disaster, destroy property and (at the very least) hugely inconvenience homeowners. 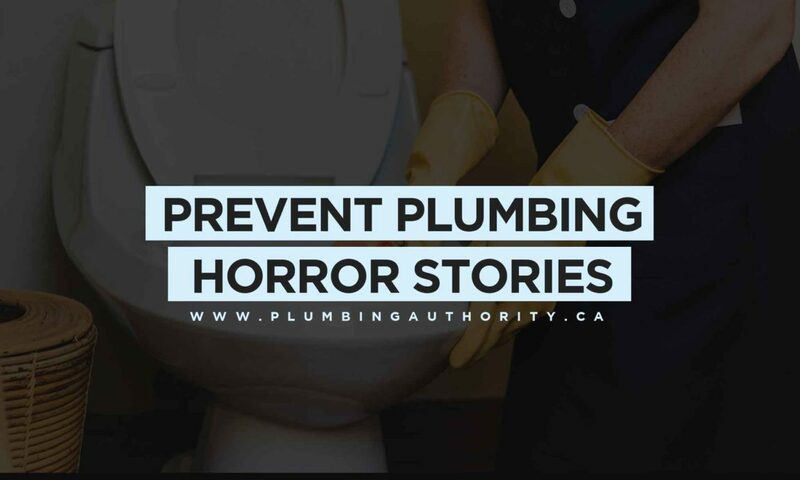 There are a number of actions you can take in an emergency while waiting for the while waiting for the plumber to arrive that will reduce damage to your home and property. Prevent problems by spotting potential issues before you have a flood on your hands. 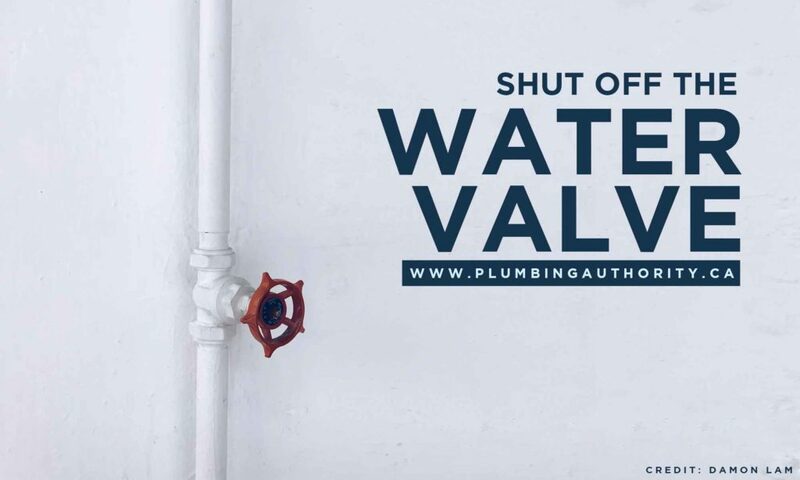 Turn off the water – Even before an event when you have to shut off the water (due to a leak or other plumbing emergency), learn where the water supply valve is located in your house. When you discover water coming out of any location, shut off the valve. If the water is coming from an isolated area (like a sink or toilet), you often can shut off the water right at the source. Turn on all the faucets inside and outside your house – This will help drain the system and divert water from the leak. Move all electronics and other valuables – Computers, televisions, phones, and appliances (as well as rugs, furniture, and art) away from the water source. Shut off your water heater – When the valve controlling the water flow is off, pressure and hot water will begin to rise in your hot water heater. 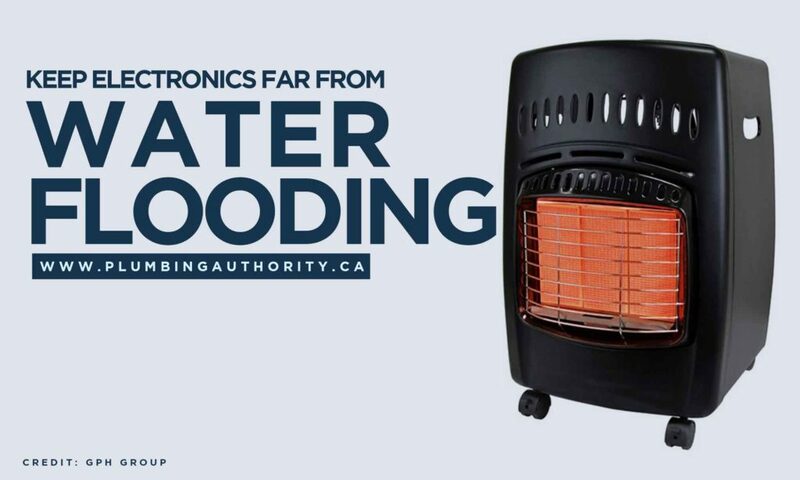 To prevent this important appliance from bursting, turn it off immediately after the main water is shut off. Stop the leak until the pros arrive – Using tape, buckets, rags, or whatever you can find, stop the leak once you find it. This will prevent further damage to property, drywall, flooring, and moulding while you wait for your plumber to arrive. Call the plumber! A plumbing professional can assess and repair the problem with the right tools and expert knowledge. As the saying goes, “An ounce of prevention is worth a pound of cure.” Stopping plumbing emergencies before they start is the ultimate goal. Save time, money, and aggravation with a few simple steps. Drains take a lot of abuse, especially in the kitchen. Bits of food and other debris get washed down pipes. Over time, the drains clog. A sink that refuses to drain can become a huge headache and will eventually require a plumber to clear it for you. Regular drain cleaning can help. Store-bought drain cleaners can do serious damage to your pipes. Instead, try pouring boiling water down the drains from time to time to help clear buildup. Using a mixture of hot water, vinegar, and baking soda is occasionally an effective drain cleaner. 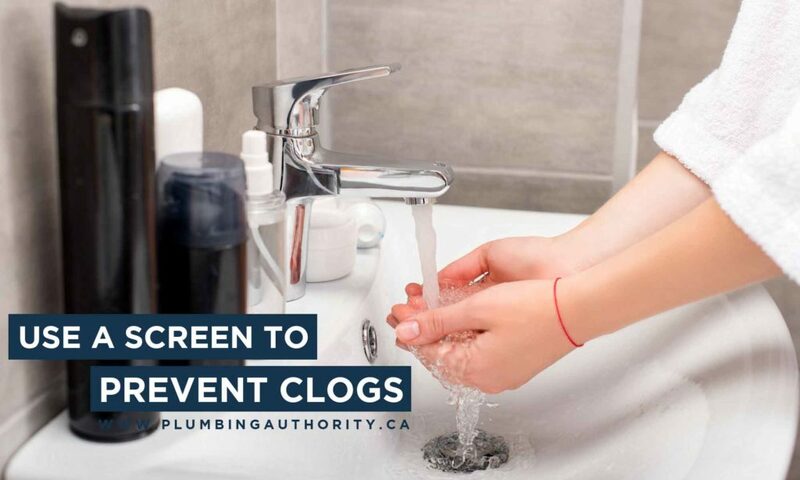 Use drain screens in your kitchen and bathroom to keep food, soap scum, and hair from entering the pipes. Never pour grease down your kitchen sink, or in the toilet. If you own a garbage disposal, use it gradually rather than dumping a huge amount of waste in at once. Be careful how you use your garbage disposal and maintain it properly. This will reduce the risk of a plumbing emergency. Know where your valves are. In case a water problem does occur, know where all your water valves are located. Do a house inspection and ensure that valves are in good working order. Turn them off and on a few times to make sure they move well and can be depended on in an emergency. Look for corrosion around the valves and have a plumber replace them to avoid leaks from coming from the valves themselves. As pipes age they become weaker. This can lead to leaks and flooding. Water softeners can take pressure off aging pipes. Water softeners reduce the minerals and chemicals in hard water and prevent them from building up on the inside of your pipes, leading to extra pressure. Water softeners have several other non-pipe related benefits as well, such as keeping spots off your dishes, and making showering more pleasant on the skin. By simply conserving and using less water, you can help reduce daily pressure on your pipes. One of the best ways to prevent water emergencies from occurring is to have regularly scheduled maintenance of all your plumbing-related equipment. 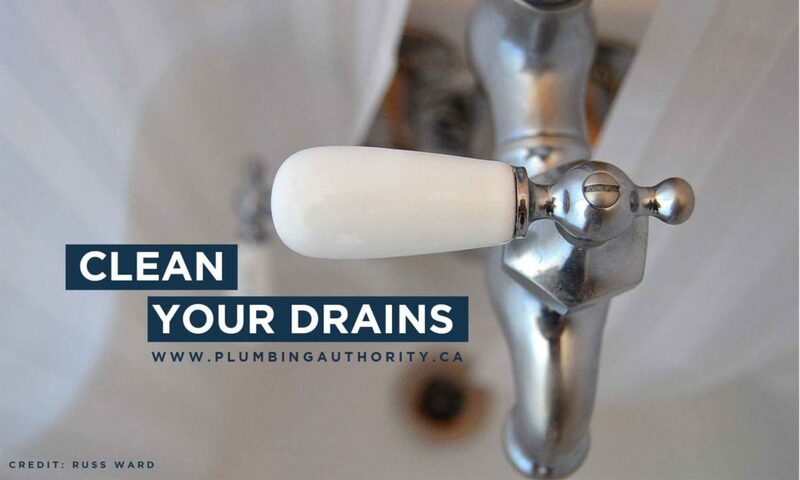 Have the plumber check your hot-water tank, toilet and sink shut off valves. Every few years have the water lines snaked to prevent clogging before it happens. Sometimes, your pipes are trying to tell you something. Gurgles, bangs, pops, knocks, and whistles are some of the noises you might hear. Listen for some of these sounds that might alert you to a problem before it actually happens. Gurgling drains – These can mean several things. All of the above issues require the expertise of a plumber for repair. Banging pipes – Excess banging in your pipes could indicate an obstruction. Again, call your plumber or you’ll have a bigger issue than banging pipes on your hands. Knocking or popping in your water heater – Sounds coming from the water heater is often an indication of sediment buildup. If your water heater isn’t properly cleaned, limescale and other deposits build up. This sediment buildup results in less efficiency, and noises. Having your hot water heater serviced and cleaned regularly will prevent sediment from building up. Whistling shower head – Whistling noises from this area may be caused by a blockage. Remove the showerhead and clean it to remove any deposits or buildup. If it’s still making noise after you’ve done this, it may be time for a new shower head. We hope these tips will help you prevent unexpected plumbing surprises this coming season! Remember to regularly maintain your system and get the help of a professional plumbing team when the job is beyond your skill level. Sometimes homeowners make a problem worse by thinking they can fix it themselves. 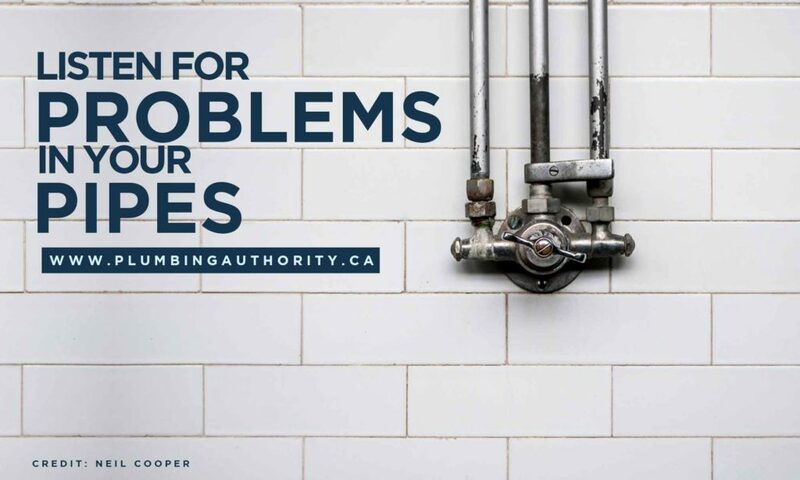 For plumbing emergencies in Newmarket and Caledon, call Plumbing Authority Inc. at (905) 822-0521. We have an expert team to handle of all of your plumbing needs, including repairs, unclogging, restoration, and maintenance.